Outdoor Car Lifts: Can You Do It? I was driving home from work the other day and saw this as I was stopped at a red light. 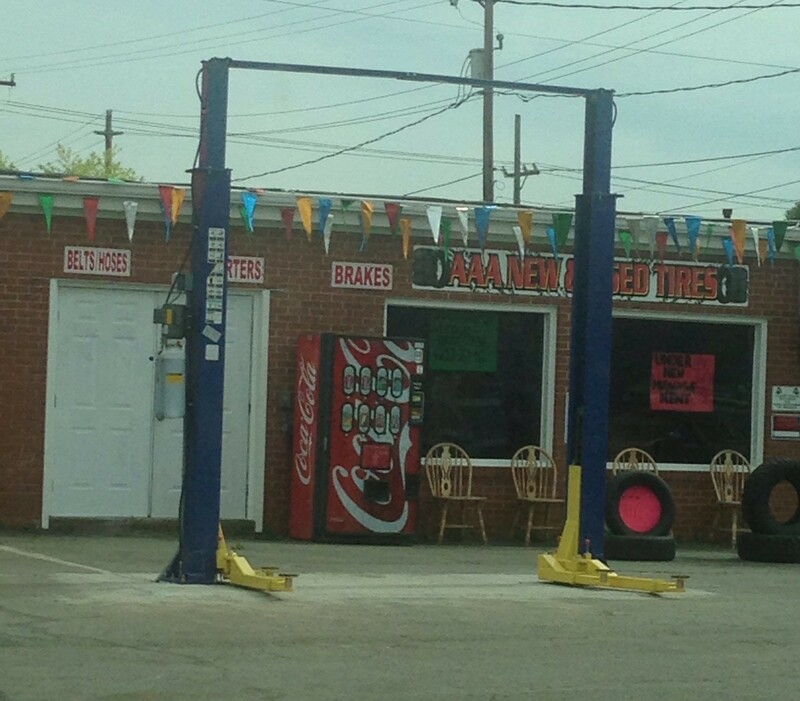 An Outdoor Car Lift. People ask this for a number of reasons. They don’t have room in their shop (notice the ceiling height on the above photo), they don’t want to dedicate the space to it or they prefer to work outdoors (this is usually not the case). Technically, the correct answer is, “You can put it outside (as in, who’s stopping you? ), but should you?” Lifts are designed for indoor use, installed in a temperature-controlled environment. Installing an Eagle lift outdoors automatically voids the warranty because it is a certainty that there will be damages to the lift caused by natural elements. You would think that something as sturdy and strong as a lift is indestructible but over time, the natural elements are much stronger and deterioration is inevitable. Temperature: The working temperature should be between 41-104 degrees Fahrenheit with 30-95% humidity. Anything below 41 degrees will affect the hydraulic fluid, it will not pump properly through the lines and you cannot raise or lower the lift arms. Sunlight: Sunlight causes a lot of damage; it breaks down plastic parts such as the reservoir tank and dries out hydraulic lines. If your lift is sitting in the Sun, you will have to replace these items regularly. Moisture will damage the lift. The power unit has electrical wiring that should not get wet, like ever, as well as damage to the rubber parts on the lift (like the lift pads will rot). WHEN METAL GETS WET, IT RUSTS. The lift is mostly metal. Once you get rust, it is impossible to get rid of. The chains and cables on the lift are also exposed and will be damaged. 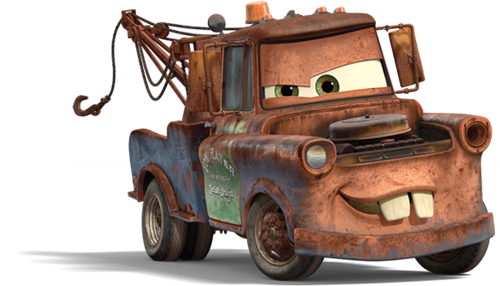 You can put rusty cars on the lift, but you don’t want a rusty lift. If you live near the coast, the salt air will destroy your lift. Lifts installed outdoors in heavy snow areas will be affected by the salting of the roads, which gets on the vehicles and unto your lift when you work on them. Installing your lift outdoors will double the maintenance to keep it in safe and working order. Don’t worry! There are a lot of solutions for shops that need a lift, but don’t have the space. We have PORTABLE LIFTS that can be used outdoors, but stored indoors = an outdoor car lift without the damage! Our PMR-6000 is a portable scissor lift. It offers 6000 lb capacity, twin hydraulic cylinders, automatic multi-position safety locks and a 1-year warranty. 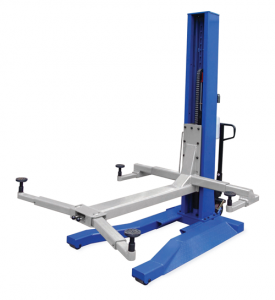 We also have a single-post car lift with 6000 lb capacity that is a big seller. The mobile lift uses “pallet jack” style hydraulics to raise lift onto wheels and it rolls right under vehicle. It uses an average 110V so it can be plugged in anywhere. This video shows just how portable it is and this video features Shop Talk with Vinnie DiMartino about his single-post lift. If you have a non-portable lift, and it must live outside, it is essential that you build a cover over it and keep your power unit dry. All movable parts should be greased regularly. It’s important to take good of care of your equipment, for you’ll be standing under it, and safety precautions need to be followed. Am I to assume installing a 2 post lift in a garage that is only heated when used will also vied the warrantee? No not at all. The lift needs to be inside, and covered. Sounds like your garage does that. Not if it is in the garage. Heat is not required, only protection from the elements. Shop is growing and I need to put 2 more lifts but can only put them out side withhey last a few years out doors. We don’t recommend our lifts outdoors, as they were not made to perform under the weather circumstances. Will the area be covered? I installed a 2 post lift outside. Seamed like on the lowering of the vehicle it jumps or skips on one side. And what should I use to lubricate the chains. I thought grease but dirt will stick to that. Robert, we don’t recommend our lifts outside. The harsh outdoor conditions will wear your lift quicker. The jumping could be that your cables need to be adjusted, the cylinder or the hose could need replacing… but I would check cable adjustment first. For the chains, try wd-40 and see how that works. Remember to use something that will not cause it to rust, since it is outdoors. Give our Eagle team a call with further questions, we’re happy to assist. How much room and height do i need for a lift? It depends which model lift you’re looking at. That should suffice. We would need to see photos to be sure, but if its covered, never wet, that will protect the lifts elements. It will not cover wear parts, but that is expected. I live in “sunny” California, specifically in San Diego. 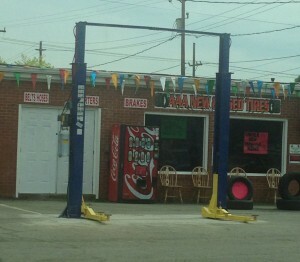 Is it feasible to place a auto/truck lift outside.? Our lifts are not made to be outside in the elements. There are customers who put them under a cover, like an outdoor covered space. The electrical components can’t get wet, and the wear on your lift will be worse when exposed to all the open air, rain, wind, etc.